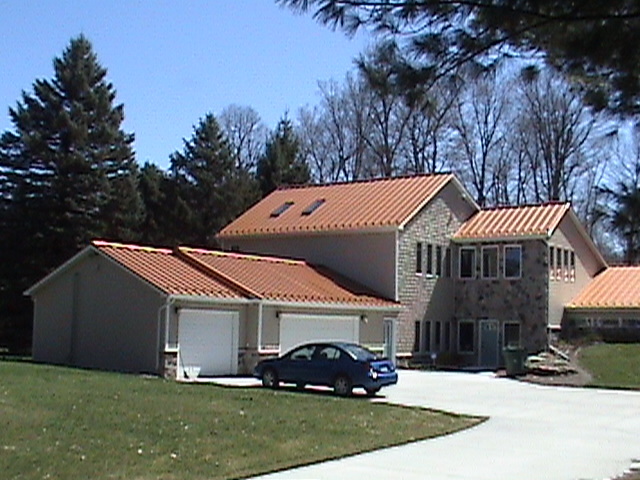 Roof replacement photos for replacing shingles with a metal roofing system on this home in Mason, Michigan. Garage and Front of home view of new metal roofing system. 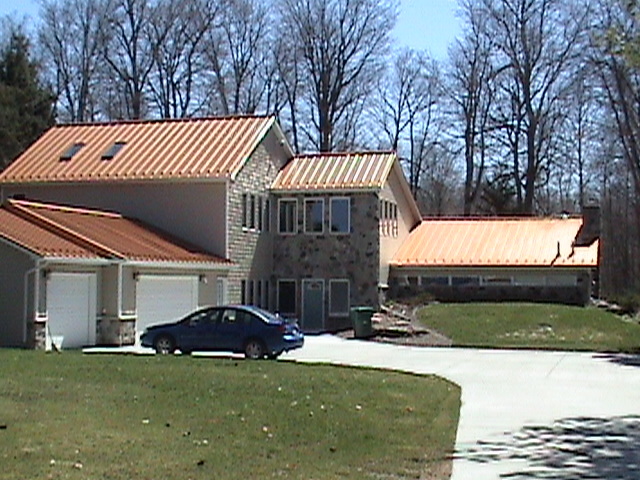 Complete metal roofing system installed to replace shingled roof.